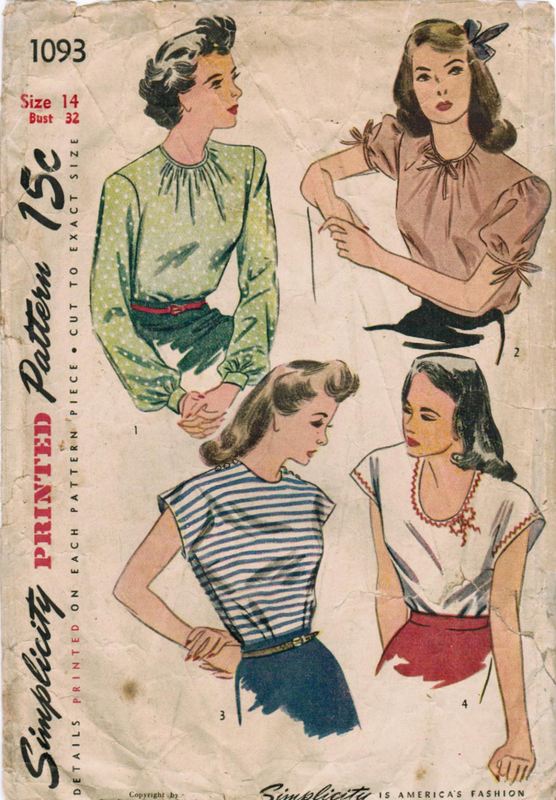 The Midvale Cottage Post: One Pattern, Many Blouses - Inspired 1940s Style! I recently posted Simplicity 1093 (below) in my shop. 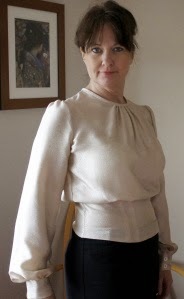 While I love detailed blouses with lots of tailored qualities, I also love simpler blouses styles that are designed to let the fabric be the star. And that is just what is provided by this popular pattern from the 1940s. It was so popular, that Simplicity reproduced it for its 85th anniversary, as retro pattern number 1692. In this post, I feature two fashion bloggers and sewists who made multiple versions of this wonderful pattern. Prepare to be inspired! 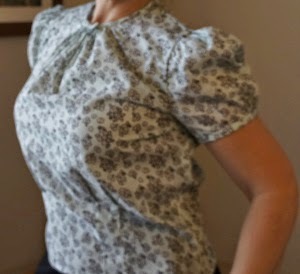 Note that each link for each blouse version is to the original blog posting by the sewist, so be sure to follow the links to read all about their sewing experience and see more pictures! Tulle and Tweed also sewed a version that combines style 3 and style 4. Check it out here!